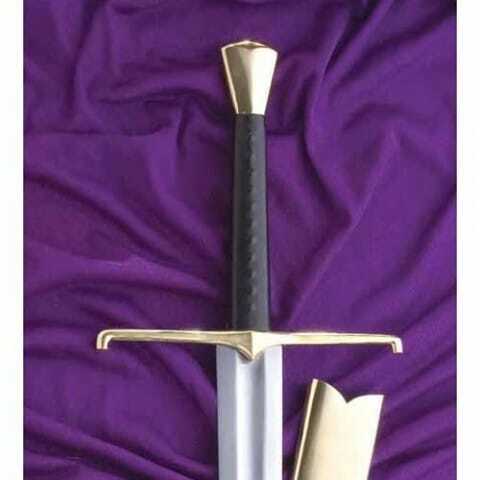 Fine example of the sword used by civilians. 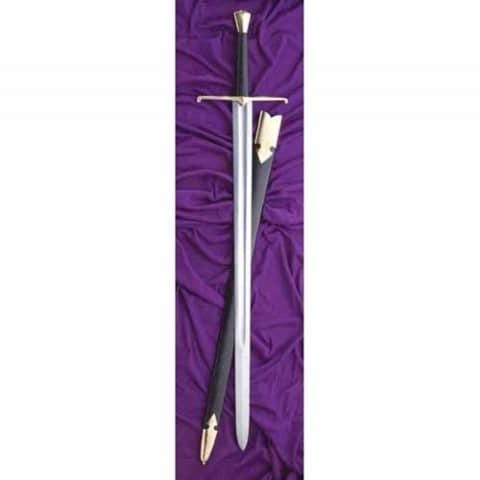 Lighter than a battle sword. Two handed grip with a row of studs under fine leather grip. Bright brass pommel and grip. High carbon steel blade 91.5cm x 5cm. Overall length 115cm. Weight 1.2kg.